Nintendo is introducing a virtual reality kit for shareable carboard creations. 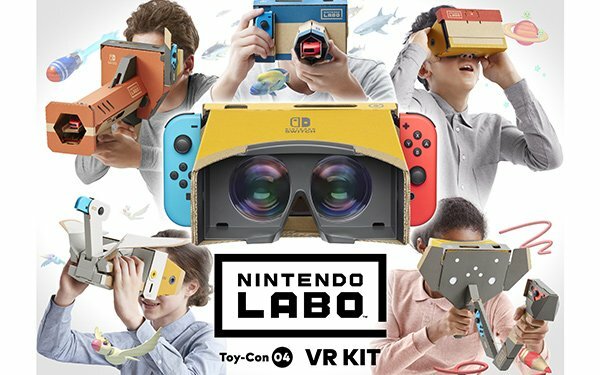 The Nintendo Labo: VR Kit, launching on April 12, includes tools to make cardboard creations called Toy-Con and then play a variety of games on them. Once created, gameplayers slip their Nintendo Switch console into the Toy-Con VR goggles and hold it up to their eyes to explore games and experiences. The VR kits are set to launch in retail stores in two configurations, one including all Toy-Con creations and the other with a smaller select of projects, with pricing ranging from $40 to $80.